Most general dentists focus their practice on preventive dental care, especially regular dental checkups. What you might not be aware of is that dental insurance covers a percentage of necessary dental care. Preventive treatments are covered at the highest percentage. Most providers offer 100% coverage for dental checkups and teeth cleanings, and 80% or higher coverage for other preventive treatments like dental sealants and fluoride treatments. By visiting the dentist every six months, you receive the maximum amount of dental insurance coverage and prevent more advanced oral health concerns that are covered at lower percentages by your benefit plan. In-network dental offices have agreed to your insurance provider’s fees for treatment plans. That means you’ll only need to pay your percentage of the treatment out of pocket. 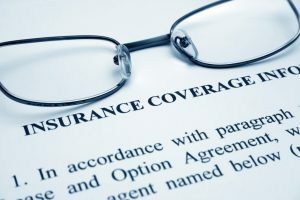 Out of network practices do not have a predetermined plan with your benefit provider, so they will need to negotiate a rate with your dental insurance plan. This may mean you need to pay the difference between the insurance plan’s fair pricing and your dentist’s set fees. Most dentists will work with you and your benefit plan to minimize your out of pocket costs. The easiest way to maximize your dental insurance is to talk to your dentistry team about your benefit plan. Anytime you need an advanced treatment, take the time to ask your dentist about how your dental insurance will cover the service. This ensure you’re never surprised with additional fees after your treatment begins. At Smile Refined Family Dentistry, Dr. Shweta Sinha and her caring team are dedicated to helping patients achieve and maintain healthy, happy smiles and keep them for life. If you need our assistance maximizing your dental insurance, we can help with that too. We process and file dental insurance claims every day, and we can help you make the most of your coverage for any necessary dental care. Don’t hesitate to ask our team about your dental benefit plan at your next checkup, or call our team today. We’ll be happy to answer your questions and help you better understand your dental insurance coverage.